1.1.1. The Department for Transport (DfT) is holding an open-call competition for grant funding of innovative research projects. 1.1.2. The Transport Technology Research Innovations Grant (T-TRIG) is a new scheme that enables the Department to fully fund research projects in support of innovative ideas/concepts that facilitate a better transport system. Although this competition is open to all transport challenges, applicants should align their proposals with the Department’s priorities. 1.1.3. The scheme will fund research into a wide-range of novel and innovative solutions that use science, engineering and technology to advance the UK’s transport system. The purpose of T-TRIG is to stimulate ideas in transport technology and systems, encourage innovation, and support the advancement of technology based transport products, processes and services. Funded projects may also have wider benefits for the Department, such as developing the evidence base for policies or informing decision-making. 1.1.4. 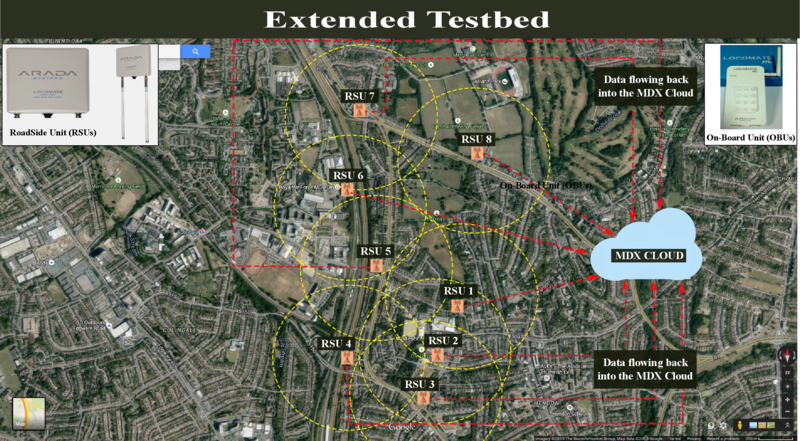 This T-TRIG competition process is managed by the Transport Systems Catapult (TSC) on behalf of the DfT. The grant and all legal relationships will be between the DfT and the grant holder. 1.2.Who can apply for T-TRIG? 1.2.1. T-TRIG is open to micro, small and medium-sized businesses, academia and other organisations, to support research projects which could lead to the development of successful new transport products, processes or services. 1.3.1. The DfT’s Science and Research Division is responsible for funding this competition. 1.4.What is the Technology Readiness Level range for T-TRIG? 1.4.1. The competition is designed to support the development of an initial prototype, a proof of concept or a feasibility study that demonstrates an innovative solution to transport challenges. 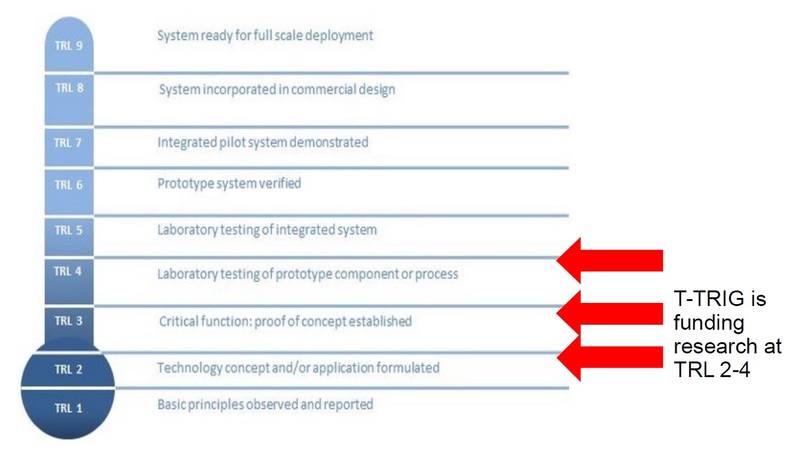 In terms of Technology Readiness Levels (TRL), this funding route will indicatively support projects between 2 and 4 on the TRL scale (see Figure 1). Funding at this early stage enables researchers to carry out basic exploratory studies which could lead to pioneering ideas being developed into new products, processes, models or services for transport applications.